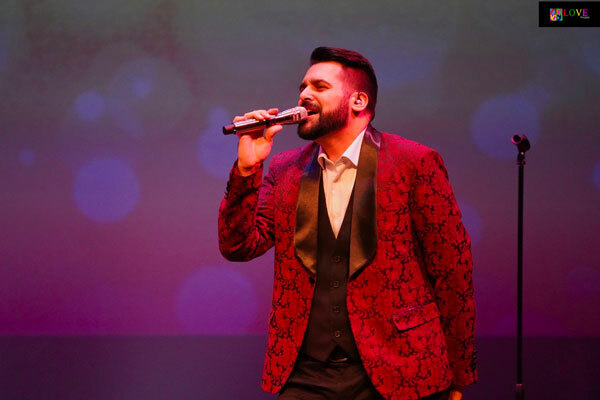 The holiday spirit is in the air at the Grunin Center for the Arts in Toms River, NJ, this Thursday, December 13, 2018 evening where, inside the cozy auditorium, green and red lights declare “Seasons Greetings!” As music lovers wait for tonight’s show to begin, a mash-up of pre-recorded music plays which includes jazzy versions of “White Christmas,” “The Christmas Song,” and other holiday gems. 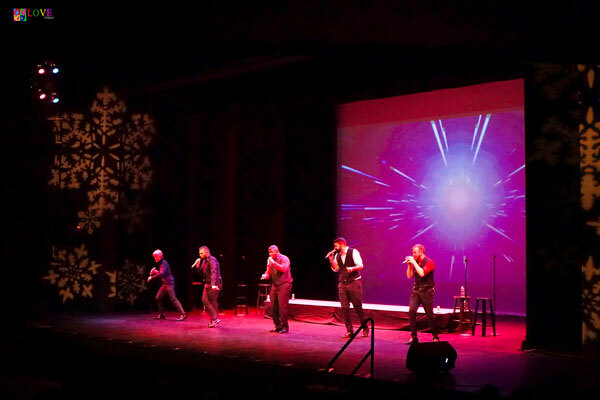 Both sides of the stage are illuminated with giant white snowflakes projected on the walls and a myriad of snowflakes continually fall on a large screen at the back of the stage, creating a wintry backdrop for tonight’s holiday concert featuring Rockapella! 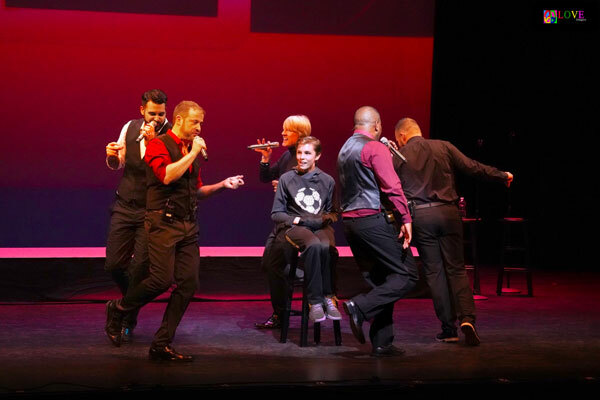 Rockapella is an a cappella music group formed in New York City in 1986. 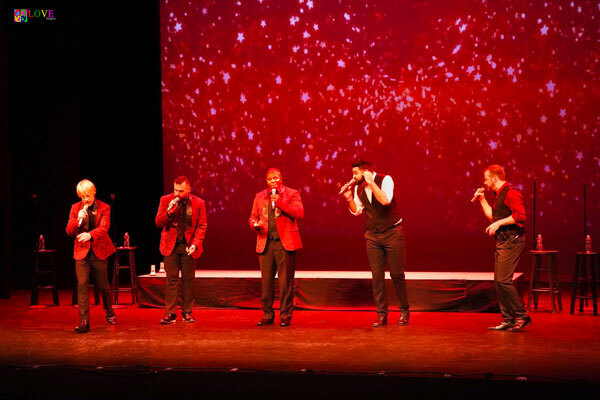 The group is known for singing both original vocal music and a cappella covers of pop and rock songs. Over time, their sound has evolved from high-energy pop towards a more R&B-style sound. 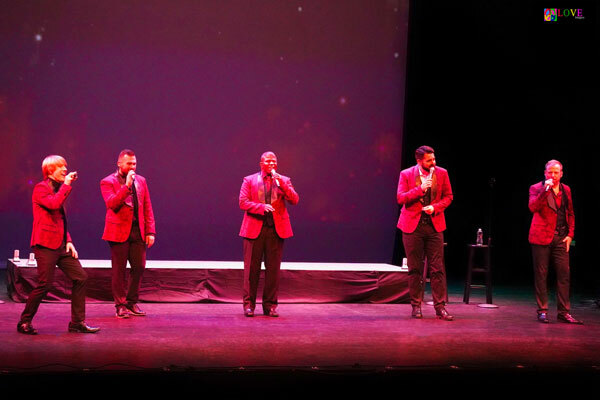 In the 1990s, Rockapella made a name for themselves as vocal house band and resident comedy troupe on the PBS television show, Where in the World is Carmen Sandiego? 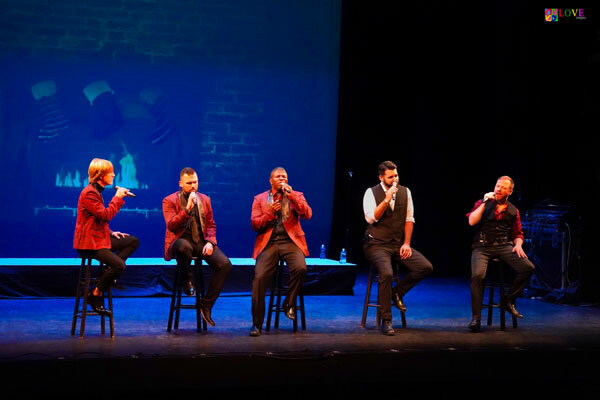 After two Folgers coffee commercials which ran in the late ‘90s and early 2000s — not to mention a PBS special featuring a Y2K concert — Rockapella came to be known as one of the front-runners of modern-day a cappella music. 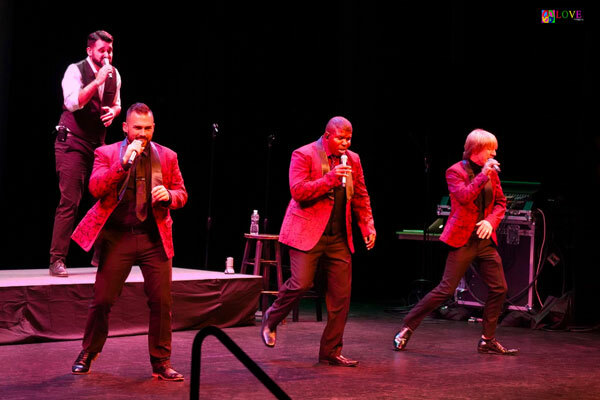 Altogether, Rockapella has released 19 albums in Japan and the United States, and three compilation albums in Japan. 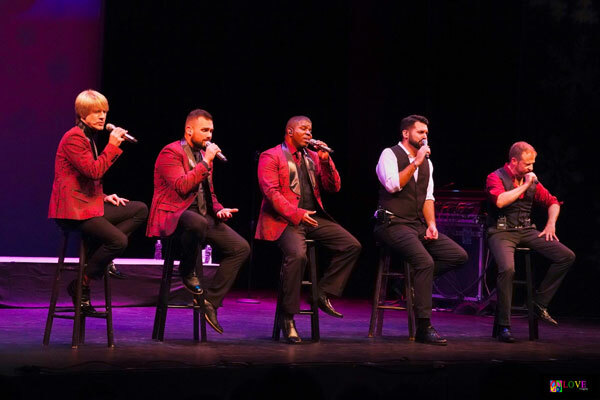 Current members of the group include high tenor Scott Leonard, tenors Mitchell Rains and Calvin Jones, bass Bryant Vance, and vocal percussionist Jeff Thacher. The auditorium lights dim and Rockapella takes the stage, opening with their a cappella rendition of “I Heard the Bells on Christmas Day.” Sweetly singing, “I heard the bells on Christmas Day/There old familiar carols play/And wild and sweet/The words repeat/Peace on earth good will to man,” the group gets the audience in the mood for a night of festive holiday music. 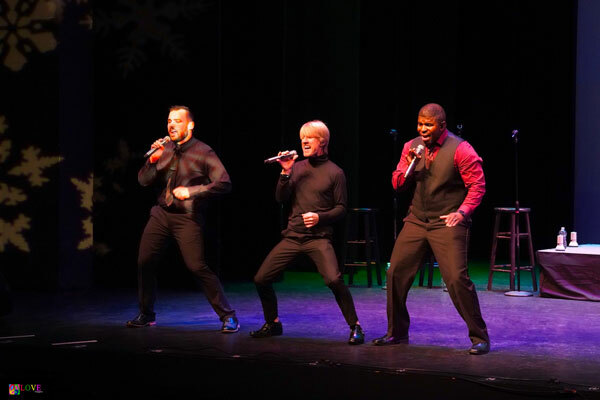 The group launches into a trio of holiday songs including an upbeat rendition of “I Have a Little Dreidel,” a playful version of “Silver Bells,” and an energetic a cappella arrangement of “Rockin’ Around the Christmas Tree,” on which Bryant Vance rocks out on bass and percussionist Jeff Thacher makes jingle sounds with his voice and mic. 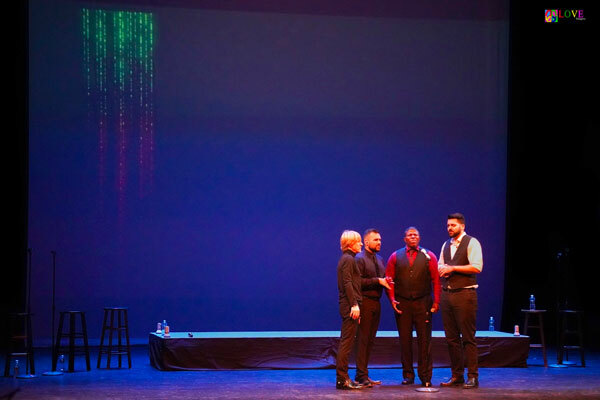 Using vocal effects to sound like a recording from the 1930s, Rockapella performs their own unique version of “Glow Worm,” where Jeff Thacher mouth-pops to create a beat while Mitchell Rains sings the lead. 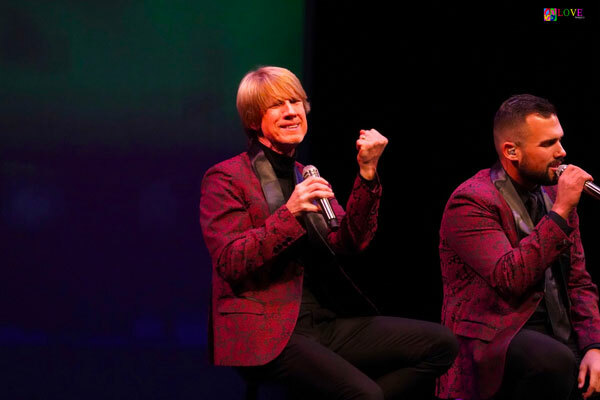 Scott Leonard talks about loving the Rudolf the Red Nosed Reindeer TV special as a youngster, lamenting the fact that he “had to wait a whole year to see it again.” At this point, he handles the melody on Rockapella’s arrangement of “Rudolph” before the audience responds with enthusiastic applause. 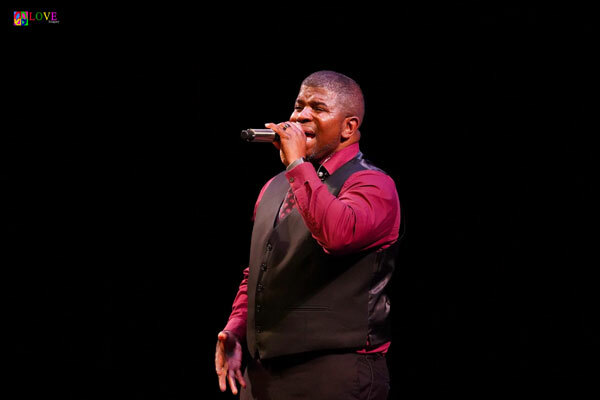 The crowd also enjoys Calvin Jones’ turn in the spotlight on “Merry Christmas, Darling,” a song he dedicates to his wife. After substituting the name, Calvin, for Alvin, percussionist Jeff Thacher performs an impressive machine-like drum solo using strictly mouth sounds. 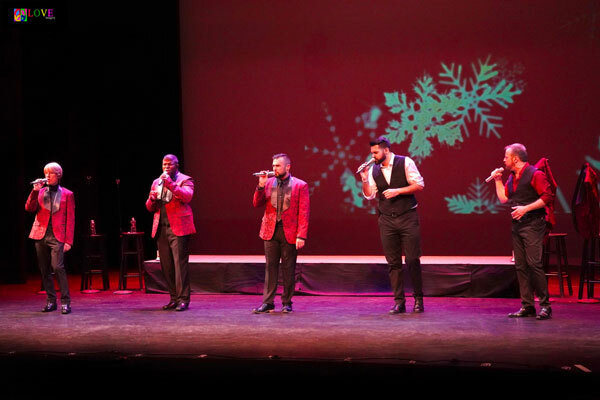 Starting the audience off clapping to a beat, the quintet performs an upbeat and modern arrangement of “Jingle Bell Rock,” all while singing into megaphones. Singing in African, the group performs a number for Kwanzaa — “Matunda Ya Kwanzaa” — on which they dance together before stepping into a free solo of vocal sounds which the crowd adores. 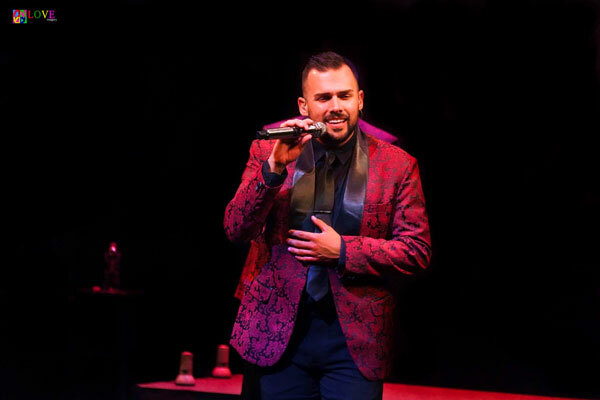 Following huge applause, bass vocalist Bryant Vance is featured on “You’re a Mean One, Mr. Grinch,” his voice sounding low and menacing on this audience favorite. 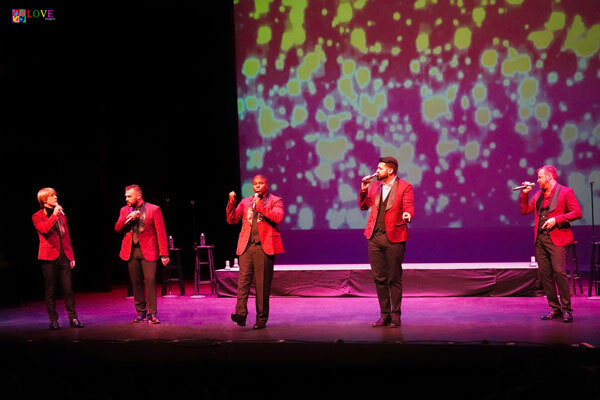 As they croon “Have Yourself a Merry Little Christmas,” photos of the Rockapella singers as children flash on the screen behind them, endearing each of the group members to the audience. The group concludes its performance with an impressive version of “Angels We Have Heard on High” — a performance which elicits a standing ovation from the crowd! Following an encore of “All I Want for Christmas is You,” Scott Leonard announces, “This is a new arrangement we’ve never done live.” Performing a highly rhythmic version of “Deck the Halls” which features lots of precise stops and starts, the group members laugh when after they stop on a “Fa-la, la-la, la” lyric, the audience unexpectedly fills in the remainder of the “la-la, la la” phrase! The group ends the night with an a cappella version of “I’ll Hold Out for Christmas” providing a touching ending to this evening of holiday music. 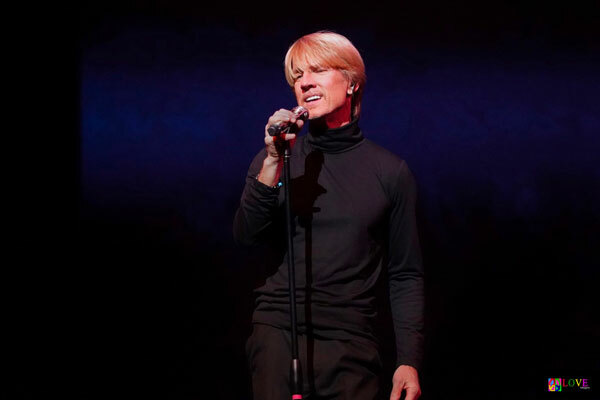 As the audience makes its way into the Grunin Center lobby, we chat with two members of Rockapella about tonight’s show. We also chat with several audience members who give us their reactions to the performance. 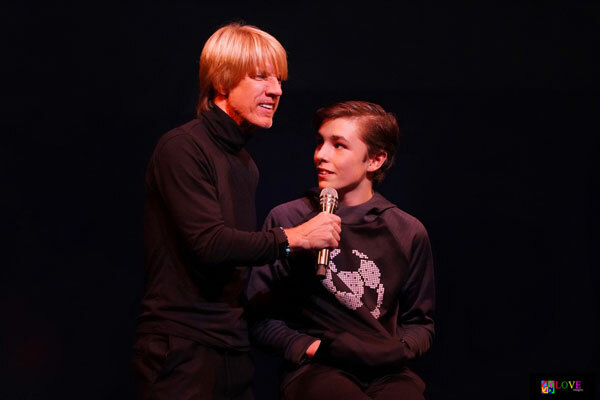 Lastly, we chat with Carmen from Kearny whose son, Matthew, 12, was selected to appear on-stage tonight with Rockapella. 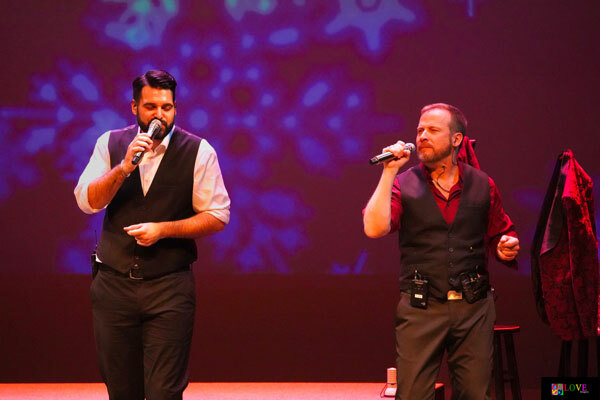 Continuing, “I saw them perform live 16 years ago, and we just had to come see them tonight,” Carmen tells us she can’t get over the fact that the song the group asked Matthew to join them in singing — ‘Santa Claus is Comin’ to Town’ — is one which the family has listened to for years. To learn more about Rockapella, please go to rockapella.com. To find out about future events at Toms River’s Grunin Center — including Rickie Lee Jones on February 22, 2019, Béla Fleck and Abigail Washburn on April 5, 2019, and John Pizzarelli on April 26, 2019 — please go to grunincenter.org.